$47.2 - Designer Truly Me is constantly providing fabulous tween styles like this new romper that is found in their spring 2018 collection. The sheer overlay of this fabric creates a flow of movement and is covered in gorgeous flowers. These blooms are filled with pinks and oranges. 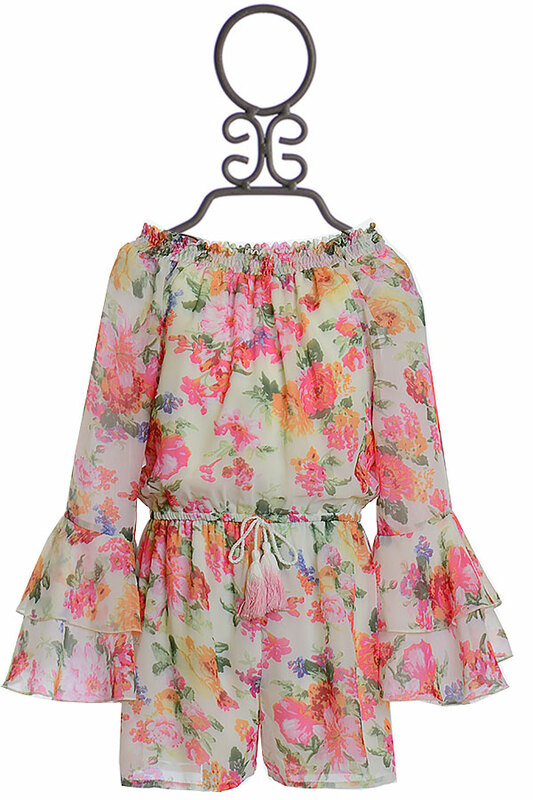 A smocked stretch is on the neckline and allows her to wear the look off her shoulder. Her long sleeves are finished in a double bell cuff. The stretch waist is decorated with a thin bow tied.